These cupcakes are best enjoyed with friends and loved ones. (They are especially popular among little kids.) 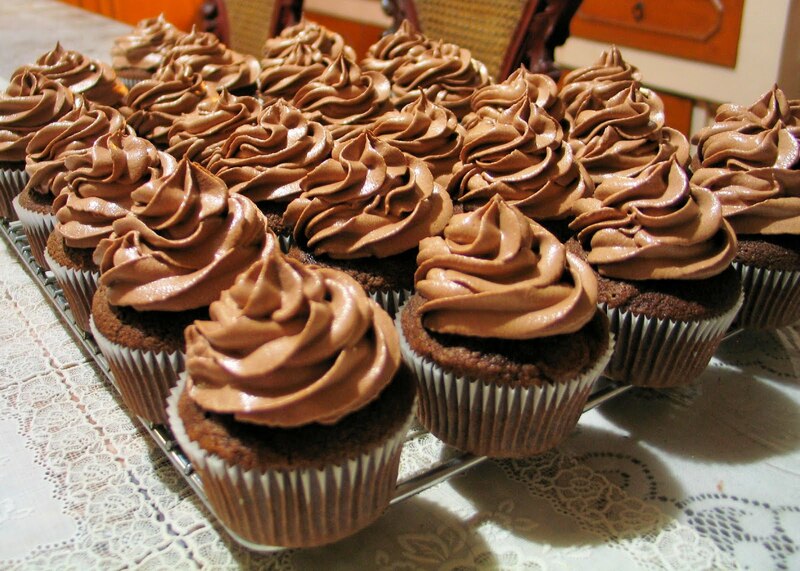 Bake up a batch of chocolate cupcakes, whip up some chocolate buttercream for frosting and make 'em happy. For these cupcakes, instead of unsweetened chocolate as the recipe calls for, I used semi-sweet chocolate since that was all I had on hand. Works just fine. 2.Line two 12-cup muffin tins with cupcake papers. Set aside. 3.In a small bowl, sift together the flour and baking soda. Set aside. 4.In a large bowl, on the medium speed of an electric mixer, cream the butter until smooth. Add the sugars and beat until fluffy, about 3 minutes. Add the eggs, one at a time, beating well after each addition. Add the chocolate, mixing until well incorporated. Add the dry ingredients in three parts, alternating with the buttermilk and vanilla. With each addition, beat until the ingredients are incorporated, but do not overbeat. Using a rubber spatula, scrape down the batter in the bowl to make sure the ingredients are well blended and the batter is smooth. Carefully spoon the batter into the cupcake liners, filling them about three-quarters full. 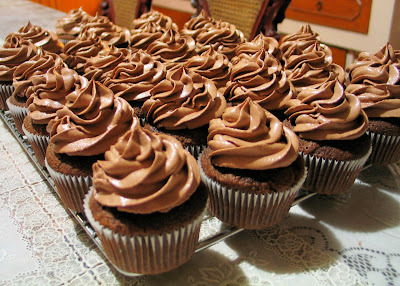 Bake for 20–25 minutes, or until a cake tester inserted in the center of the cupcake comes out clean. 5.Cool the cupcakes in the tins for 15 minutes. Remove from the tins and cool completely on a wire rack before icing. 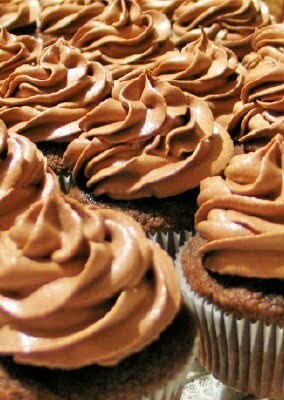 At the bakery we ice the cupcakes with either Vanilla Buttercream or Chocolate Buttercream. 1. Note: to melt the chocolate, place in a double boiler over simmering water on low heat for 5-10 minutes; stir occasionally until the chocolate is completely smooth and no pieces remain; remove from heat and let cool 5-15 minutes or until lukewarm. 7. **For icing a 3-layer cake use the following measurements: 2 cups unsalted butter, 3 tablespoons milk, 12 ounces semisweet chocolate, 1 1/2 teaspoons vanilla extract, 3 cups sifted powdered sugar.